Fall Fairs are a time-honoured rural tradition throughout Ontario. The earliest agricultural society was formed at Niagara-on-the-Lake in 1792. Other societies followed, and they would hold fairs with butter, cheese and maple sugar. In 1834, a prize was offered for "Best Servant!" While there used to be as many as eight fairs active in Lambton County, that number has decreased to the remaining five: Plympton and Wyoming; Petrolia and Enniskillen; Brigden; Forest; and Brooke and Alvinston. Taking place over roughly a month's span from early September to October, fall fairs give local residents an opportunity to celebrate achievements and spend time with neighbours. These activities have been going on in Lambton County for over 150 years. 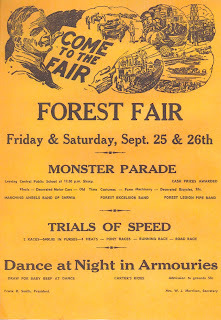 Allow me to provide you with some information about the interesting histories of Lambton's fall fairs! 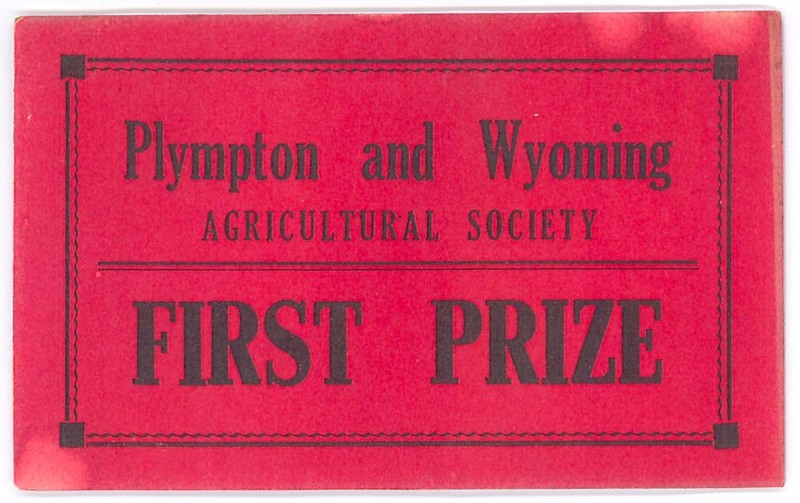 Credit for the oldest fall fair goes to Plympton and Wyoming, an Agricultural Society who held their first fair in 1846 on John Fisher's farm, at lot 14, concession 8, Plympton Township. In 1907, the fair was moved to Thames Street in Wyoming, and later to Main Street; a hall was erected in 1911. In 1926 additional land was purchased to use as a racetrack, but races were discontinued in 1947 because they were considered a safety hazard. The first Brigden Fair was held in 1850 at Riley's Tavern and featured only cattle and horses. For the next four decades, the location would alternate between Mooretown and Corunna, and later between Courtright and Brigden, until settling into the current grounds in 1889. Prior to 1928, only Moore residents could be exhibitors; however, "Open to the World" was declared that year and exhibits were opened to an unlimited area. The Enniksillen Agricultural Society was organized in 1876. 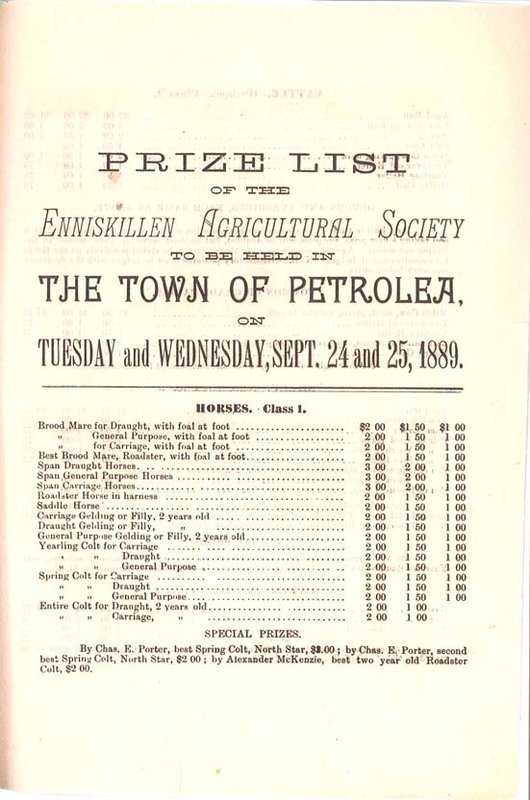 By 1888, the society had acquired three and a half acres of land in the Petrolia village limits, erected buildings, and were conducting an annual fair. Financial records from 1888 show a volume business of $782.1 and a net profit of $5.25! 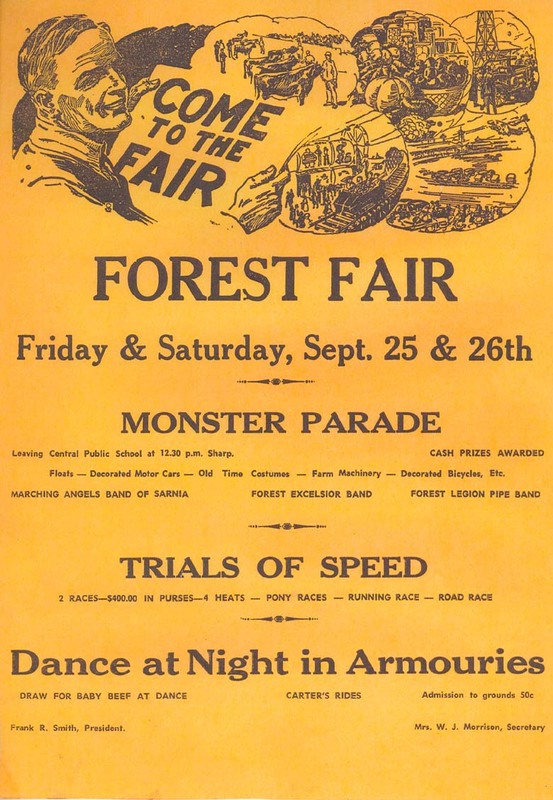 Forest had its first fair in 1870 at the corner of Broadway and Main Street; it was later moved to a drill shed. In 1874, twelve acres of land were purchased at the south-west corner of the town. This would be named the Forest Pleasure Park and served as fair grounds until the present park was bought in 1909. Early Forest fairs emphasized livestock but had prizes for bread, maple sugar and other culinary arts. Alvinston's society originated in or about 1867; unfortunately, early records have not been preserved so it is difficult to get a picture of the society's earliest years. We know that a livestock show was held in October, 1875. There was no admission fee to the open grounds, but they did charge ten cents to enter the township hall, where grains, vegetables and ladies' work were being displayed. Other fairs that are no longer running have equally interesting histories. The Florence agricultural society dates back to 1863. They held their first fair in 1910 after purchasing a white frame barn that was renovated with two wings and an upstairs area to form a Crystal Palace. A driving track was added in 1911, and in 1913 Fansher Church was purchased for $75.00, and the lumber was used to construct a grandstand. Thedford's society was organized even earlier in 1859. Tradition says fairs were held on the ridge road a few miles west of town but no records can confirm. When a fair was held on October 1, 1889, there was more than two feet of snow on the ground! Fair season is now upon us, so be sure to get out to your fair and support the local community. The season kicks off with the Petrolia and Enniskillen Fall Fair September 9 and 10. The County of Lambton's Cultural Services Division will have a booth at all the upcoming fairs, so visit us to learn all about the county's libraries, museums and galleries! See you there.